From snow to snowdrops, an early sign of spring. Lots of spring-time walks, urban, rural. This one with J in some lovely woodland in Royal Oak. The city comes alive with cherry and plum blossoms from late February until early April. This beautiful tree is in the Gardens at Government House. Continued love affair with our beautiful neighbourhood. In May, dear friends visit from Colorado. Made time for a treat at my favourite coffee establishments. Hey Happy on Johnson Street (left), and Hide + Seek on Oak Bay Avenue. 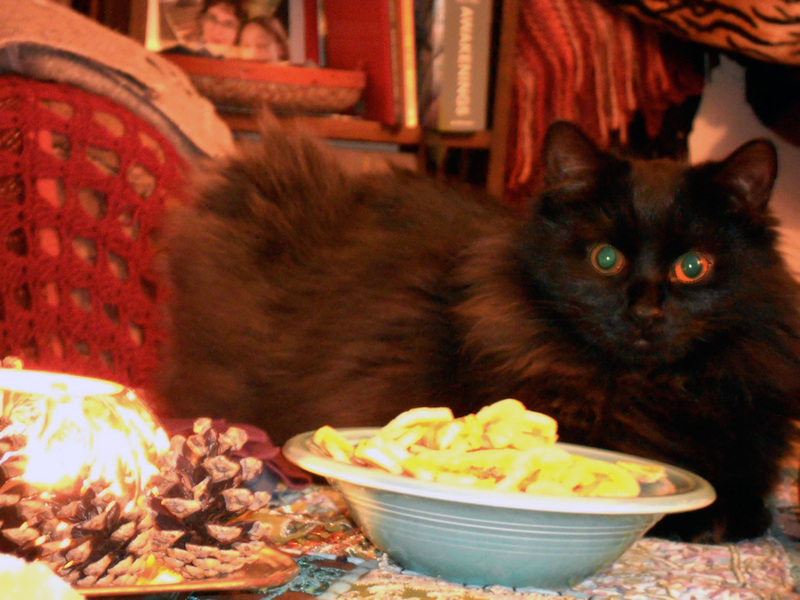 As always, we spend time with the cats! Miss Bunny Drummond really loves GJ. One of my favourite designers opened a new shop on Johnson Street in June. No stranger to Victoria, John Fluevog opened an early store here in 1972. I’m happy he’s back! 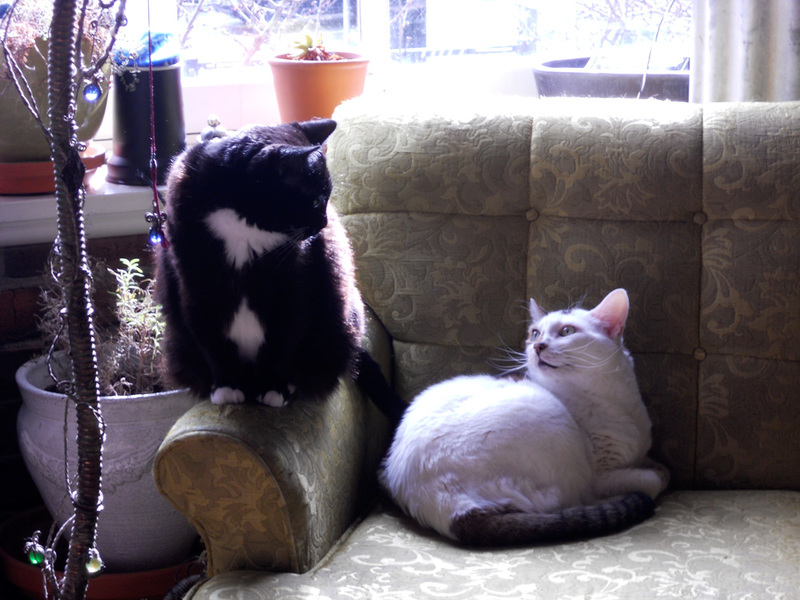 Our young old cat and our old new cat are not yet friends. 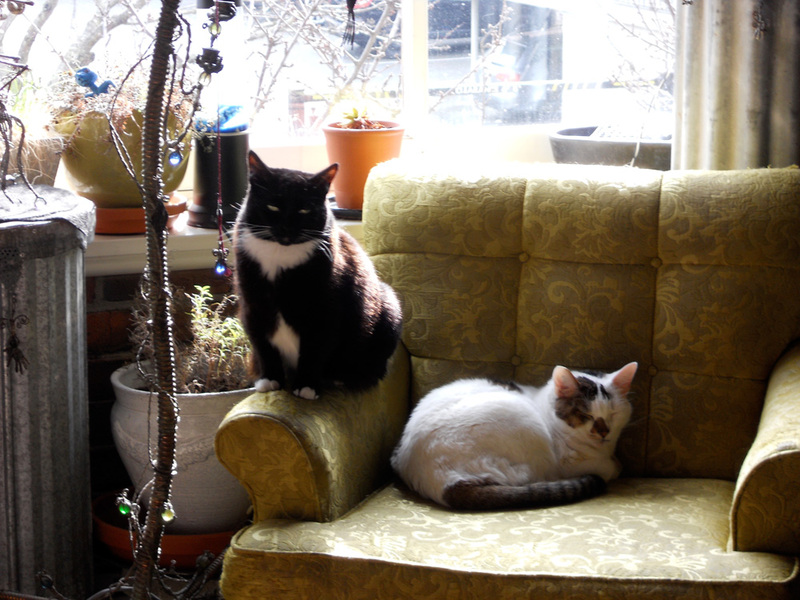 They tolerate one another, and once in a while, almost play. I caught these photos yesterday. 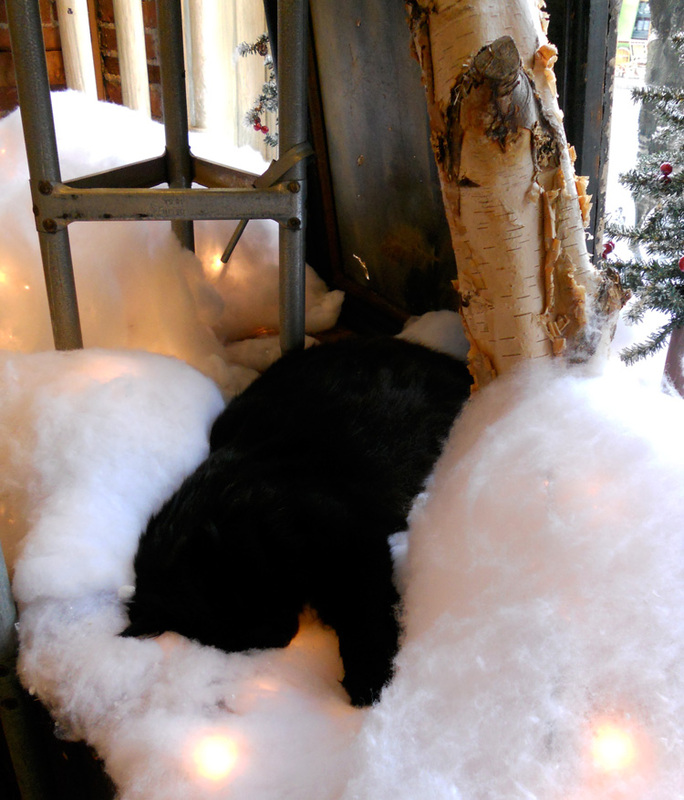 Found these beauties, Cole and Scrat, sleeping in the “snow” in the window at Fan Tan Gallery. 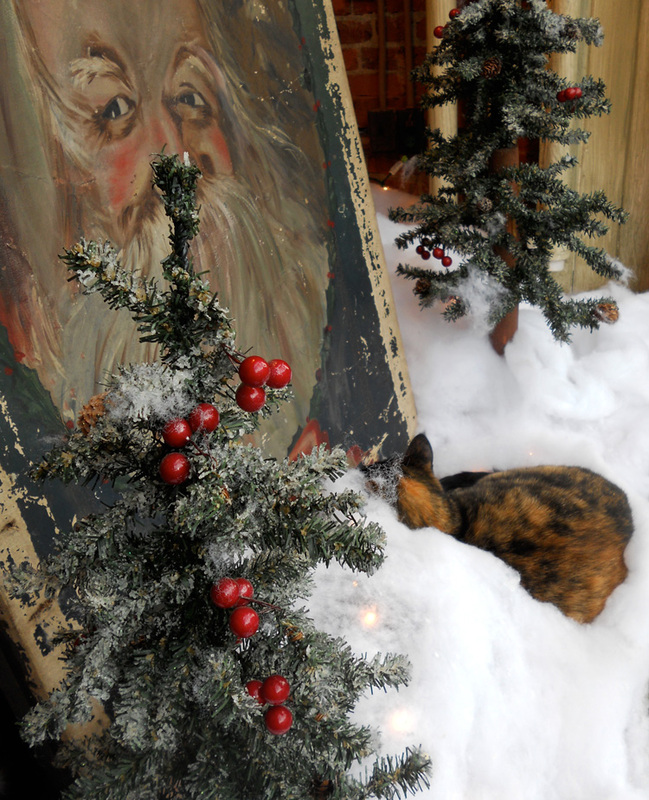 They are the shop cats there, and they love to provide wit and delight to this beautiful shop. 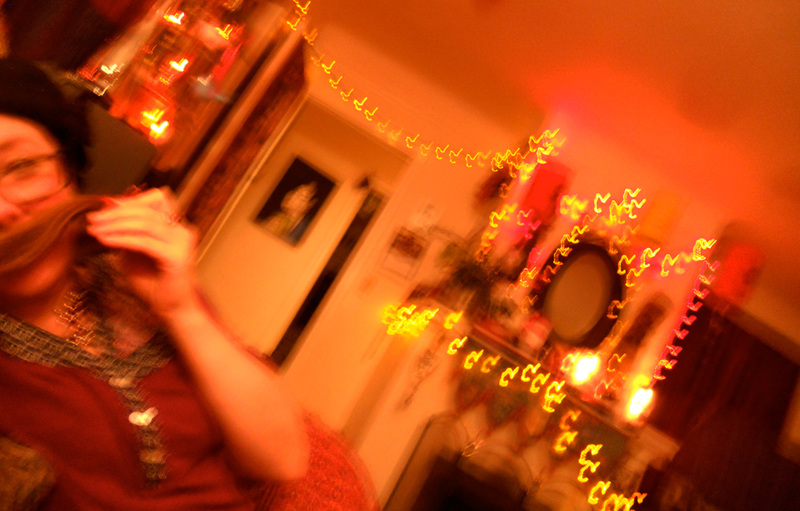 New Year’s Eve was quiet, warm and cozy. We cooked a delicious meal with our friend A and her furry friends, built a wonderful fire, and ate and drank and laughed. 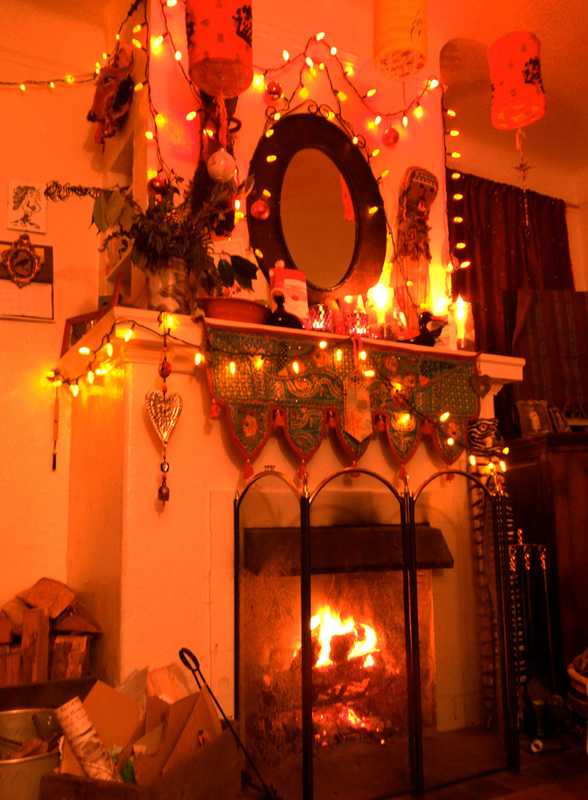 A festive setting and a roaring fire, perfect. 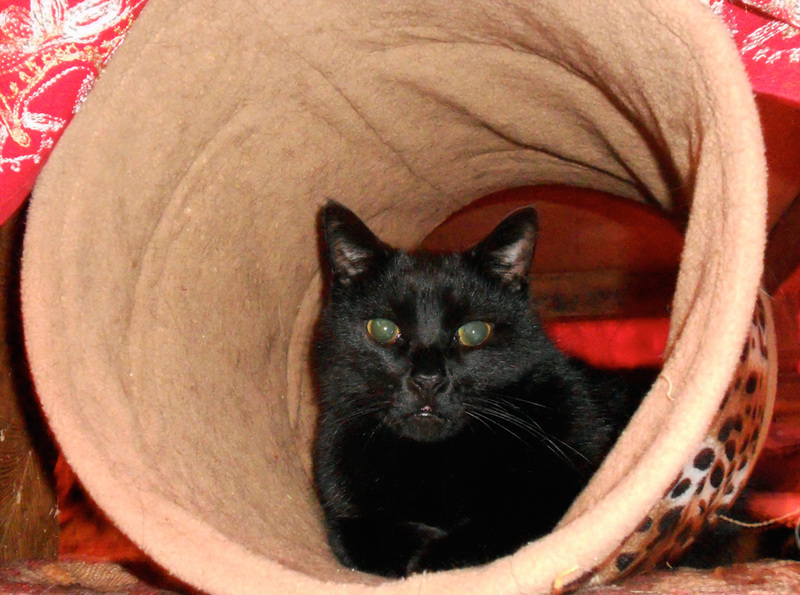 Mr Carlos cozy in his tube. 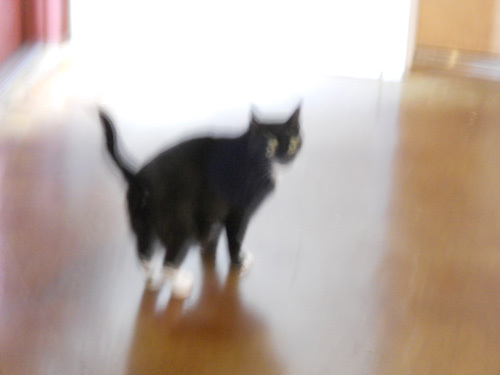 Our little kitty loves to run out in the hallway outside our apartment. She thinks that something much more magical going on out there than there actually is. 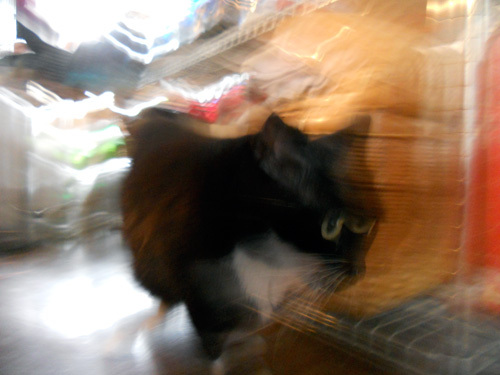 Yesterday when she escaped, GJ followed her with the camera, and then spent a few minutes on the kitchen floor trying to catch cute pictures. 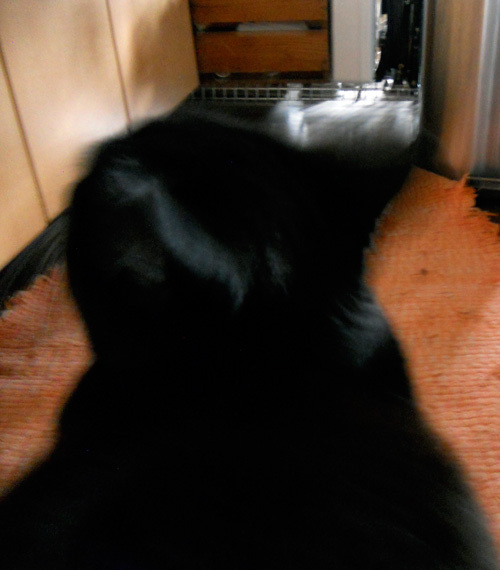 But, of course, cats just won’t stand still when asked! 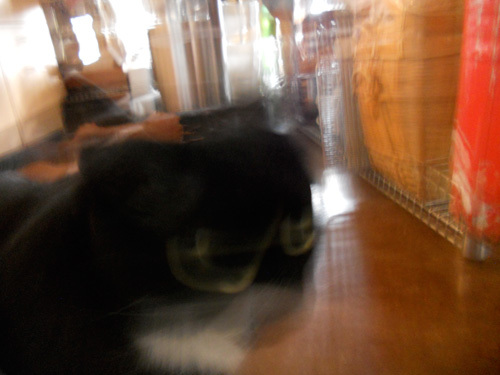 Spooky ghost cat in the hall. 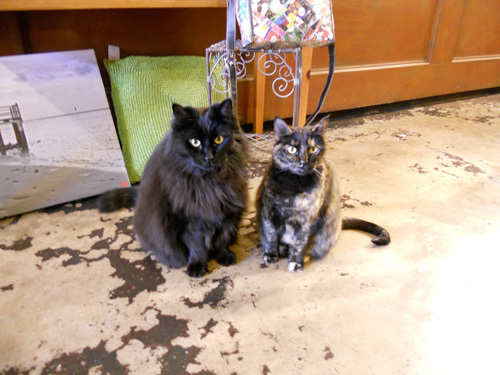 These adorables reside at a quaint shop in Chinatown, Victoria BC. Brother and sister. Cole, on the left, is enormous; the photo doesn't give a true depiction of just how big he is!